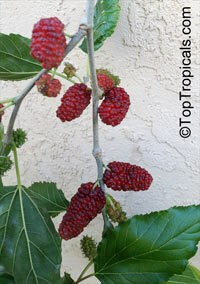 Rare and hard-to-find, this dwarf mulberry performs admirably as a container plant. 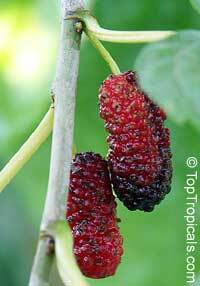 The fruit is larger than dwarf mulberry and the plant flowers and fruits most of the year in repeating cycles. 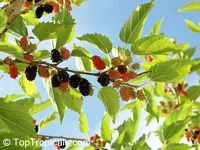 When grown as a container plant, its plump sweet fruit is easily picked and is also easily protected from birds with lightweight netting. It is hardy as a garden plant in zones 5-9. When grown outdoors, it is deciduous. When grown inside, it will hold its leaves and continue to flower and fruit as long as the light level is high enough. 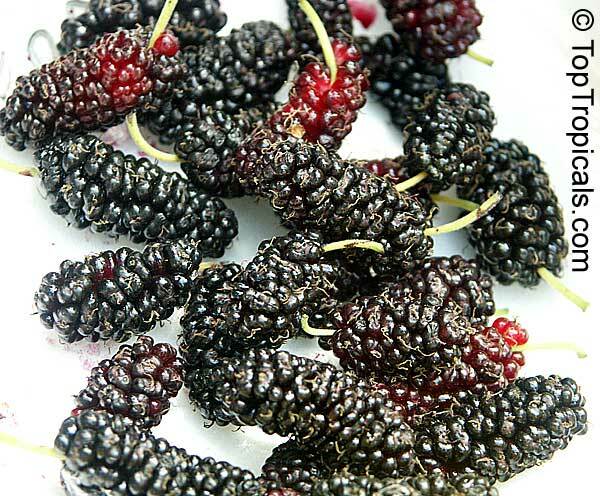 Rare mulberry - Australia. 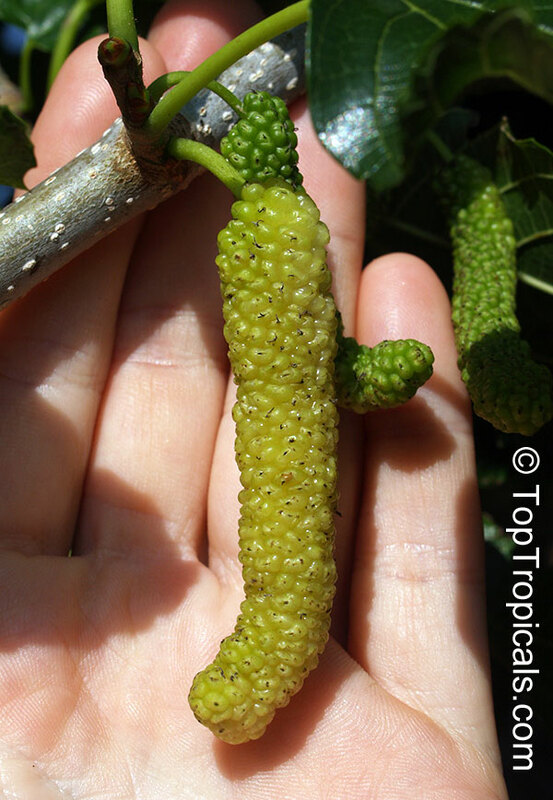 Really long fruit, it is very sweet. Mulberry variety Tise. 1" long fruit. A beautiful ornamental bearing sweet, juicy fruit. 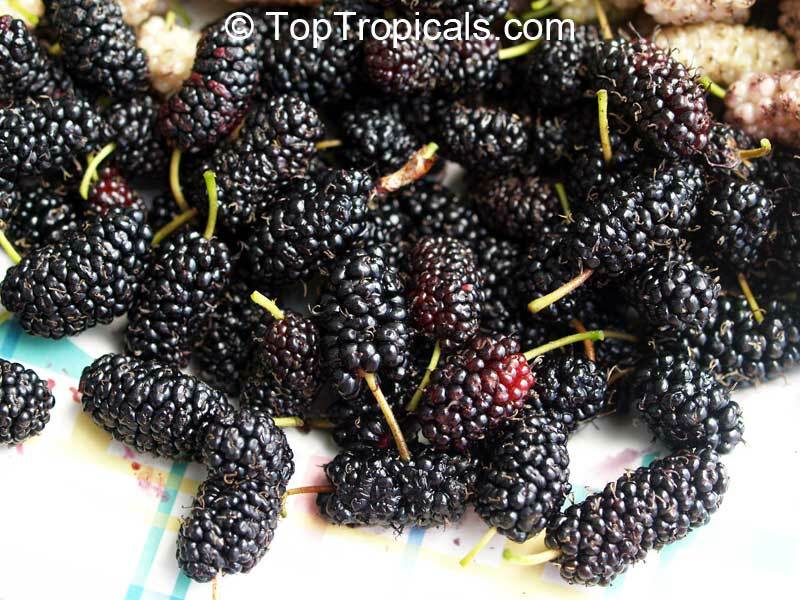 Tastes like extra-sweet blackberries. Disease and drought resistant. 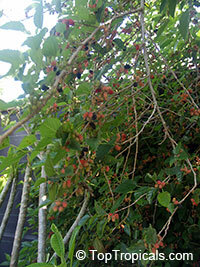 Beginning the very first year, you can enjoy its fruit all spring. 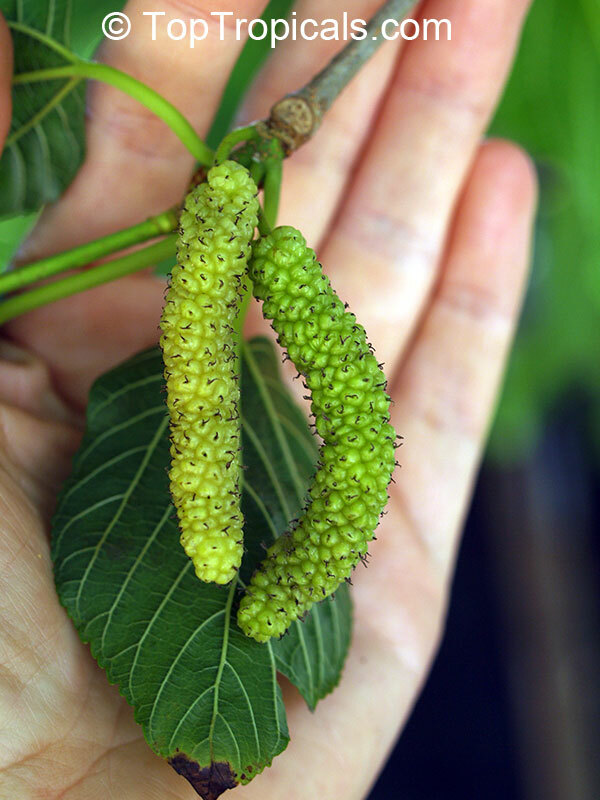 White Mulberry - produces medium-sized, white color fruit. Very sweet flavor, with no tartness. Tree is medium sized and very productive. 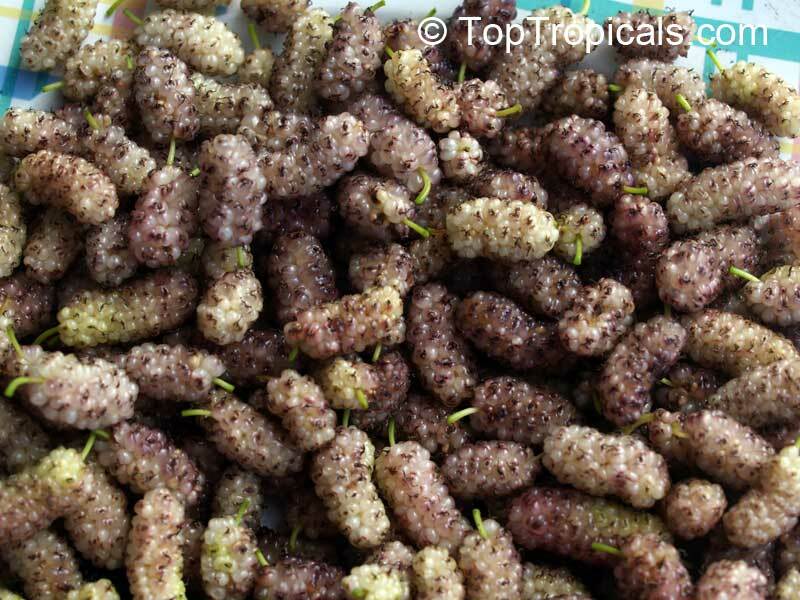 Fruit doesn't stain and has excellent qualities when dried. A native to Peru, leaves are heart shaped and velvety. 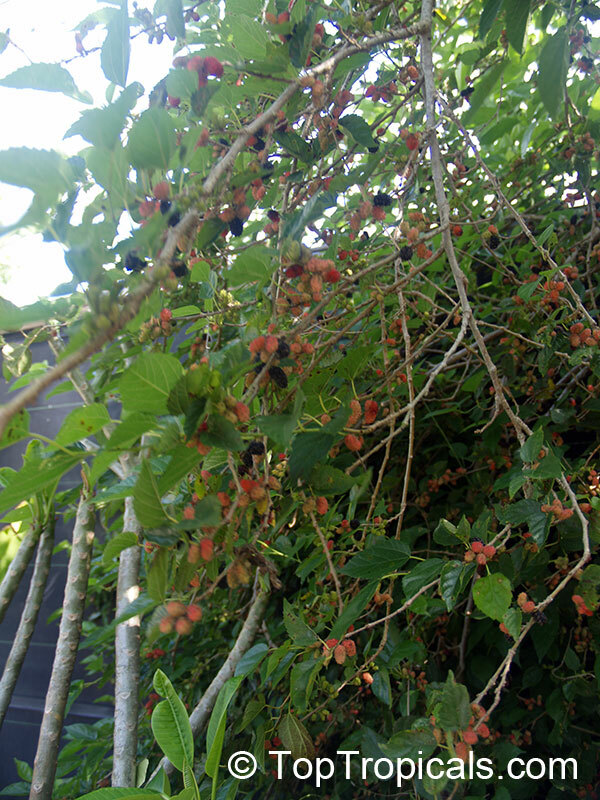 Dwarf Everbearing mulberry. 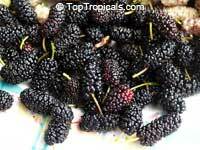 A beautiful ornamental bearing sweet, juicy fruit. Tree is of a dwarf habit (can be maintained 6-10 ft tall), extremely hardy and productive. Great for container culture. Disease and drought resistant. 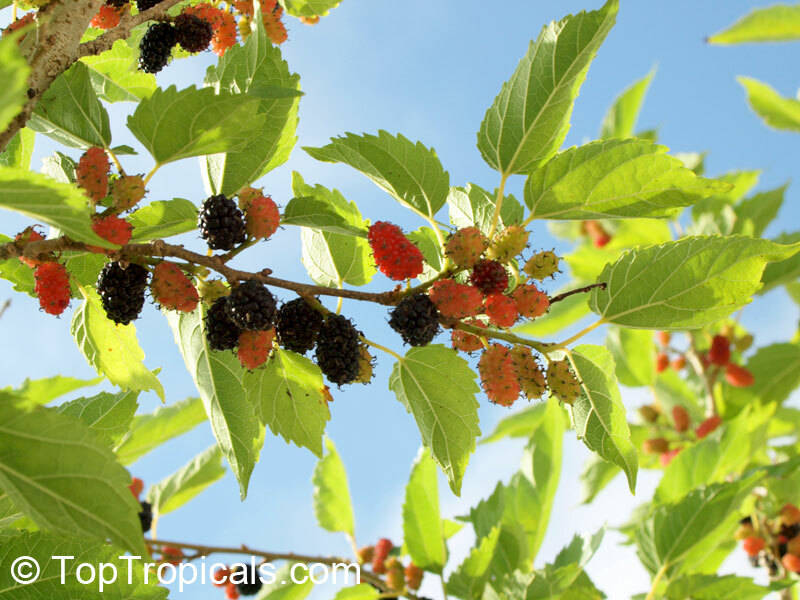 Beginning the very first year, you can enjoy its fruit almost year round. "Revelation 22: Verse 2: In the midst of the street of it, and on either side of the river, was there the tree of life, which bare twelve manner of fruits, and yielded her fruit every month. and the leaves of the tree were for the healing of the nations."